Iris Yas Island is revving up its engine for Abu Dhabi’s biggest weekend with an impressive line-up from November 24 until November 27. On Thursday, November 24, international house music legend, Steve Lawler, will perform live at Iris Yas Island. The renowned music producer and DJ will bring his passion for house, techno and electronica to the scenic nightspot overlooking Yas Marina circuit. On Friday, November 25, the capital’s favourite open-air lounge presents Sunset Sessions from 5pm with Mahmut Orhan, famed for his summer hit ‘Feel’ with Sena Sener and his Game of Thrones soundtrack. Globally acclaimed for their reinterpreted techno, Austrian band HVOB (Her Voice Over Boys) will bring their unique electronic music style to Iris Yas Island with a live set from 11pm. On Saturday, November 26, WHITE Dubai, the Middle East’s first and only venue to make DJ Mag’s global Top 100 polls, presents the WHITE Experience from 11pm with live entertainment by WHITE’s signature dancers performing the ‘Race Show’ alongside the nightclub’s award winning resident DJs. To round off the weekend’s events, Nic Fanciulli will perform live on Sunday, November 27. Going full throttle, the Grammy-nominated producer will take Iris Yas Island to the finish line with his unique blend of house and techno. Providing the perfect rest bite and refuel, ‘Le Brunch’ is available from 12pm–4pm each afternoon throughout the weekend. For the set price of AED 380, which will include soft drinks and juices, live cooking stations will be placed around the venue including BBQ classics, a fresh salad bar, and a live dessert station. Patrons will also have the choice of the a la carte menu featuring the brand’s delectable sharing plates and international cuisine. 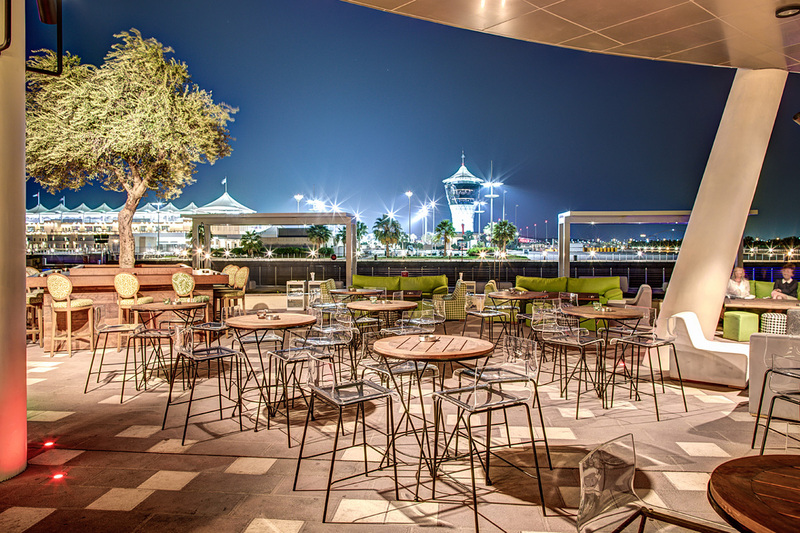 Opening hours at Iris Yas Island will extend to 5am over the weekend with daily entertainment including ‘Le Brunch’ from 12pm-4pm and Sunset Sessions from 5pm to 9pm each day.